I unabashedly, whole-heartedly love the Marvel movies and, even though the dialogue and plot of most of the DC movies aren’t nearly as strong as Marvel, I still go to the theater with my steadfast, fellow superhero fan, Rob Magnuson, to see those movies as well. I can’t get enough of the genre and I haven’t outgrown my wish to be a Superhero. The greatest compliment I’ve ever received was from my son, who wrote on a birthday card to me, “You would make a great Super-hero”. 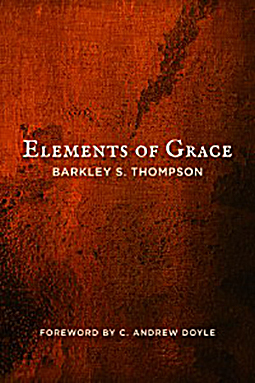 So Barkley, of course I was drawn to the title of your blog post. And even though I will probably never outgrow my wish for Superhuman powers (because of a piercing desire to fight injustice, hypocrisy, cruelty…), I’ve learned to accept my average, mundane humanness. One of the greatest benefits of aging so far for me has been the realization that accepting and embracing the person I am today, was yesterday and have the potential to be tomorrow is the only way to be able share my gifts with those I encounter each day, in whatever capacity, not just in my job as a doctor, but as a wife, mother, sister, cousin, niece, friend… Miss you Barkley Thompson ! If only we had the Superhero ability to fly ourselves at supersonic speed across a thousand miles. Rob and I would drop in on the Thompson’s this evening (with dinner in tow) ! Very thoughtful and written in a way to reach all ages. Message to me: Our purpose is to serve our Creator through love and connectedness in all we do. You’re becoming one of my favorite authors! I like all your sermons, but this is a super good one.